Heavy industrial facilities such as gas pipelines, petrochemical plants or oil refineries are potentially explosive because of the flammable gases and dust emitted. 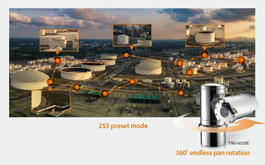 Therefore, it is important that a video surveillance system used in heavy industrial facilities are not the cause of explosions whilst still delivering high-quality images. 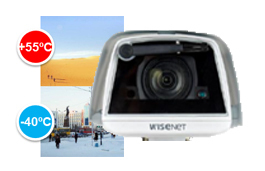 Wisenet T series explosion-proof camera satisfy both requirements by the powerful network cameras and stainless steel housing enclosure surrounding it. 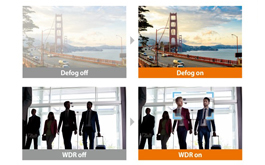 The true WDR(120dB) and Defog function helps increase image clarity in poor weather conditions or scenes with a wide range of brightness. 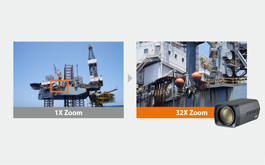 32x Optical zoom and 16x digital zoom helps the users to see further and clearly, capturing everything without losing detail. The ATEX certified enclosure has the ability to contain any internal explosions or prevent sparks from escaping the device which may lead to a disaster. TNU-6320E is capable of monitoring a wide area, with its 360º endless pan and 180º tilt feature moving at 1~50º/s preset speed. 255 preset positions allow for user flexibility. 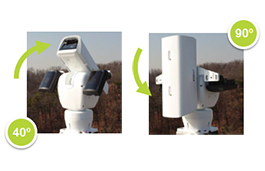 This positioning camera being released is a PTZ camera with a high resolution of 2 megapixels and up to x32 optical zoom. The camera also comes with an optional IR dimmer that allows for clear monitoring, even in dark environments. It also provides 120dB WDR and various VA features. 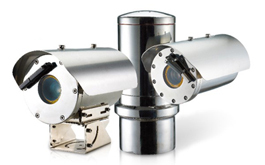 TNU-6320 offers a 90° angle view above the lens and a 40° angle view below it. It also supports a 360° horizontal angle view at a speed of 120° per second to allow for full coverage monitoring without any blind spots. The camera is designed to withstand rugged and harsh outdoor environments with built-in wiper and heating lines, making it ideal for any outdoor installation. Certified with an IP66 rating for waterproof and dustproof specifications. 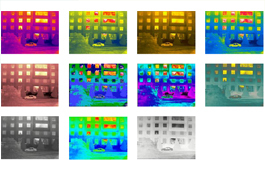 Thermal cameras require no ambient light and provide excellent image quality in darkness or challenging environments such as smoke or fog. 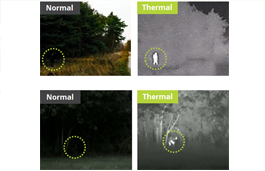 Thermal allows for the surveillance the identification of vehicles or humans regardless of the absence of light. Supports 11 colour palette modes for various sites & applications. 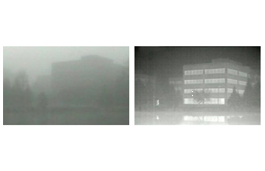 Thermal images are able to maintain surveillance through fog, snow, rain or even dust storms. 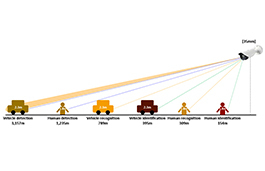 Thermal surveillance allows for long-range vehicle detection up to 3.1km away and detection of humans up to 1.2km away.